Coloring books are a simple path to making something beautiful and can be an experience of contemplative prayer. 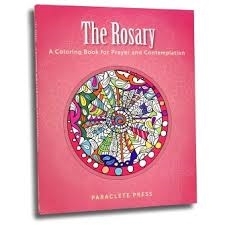 Pray the Rosary as you color. Let your mind focus on the mysteries as you create a unique visual prayer.